Hello Halloween!!!!!!!!!!!!!!!! 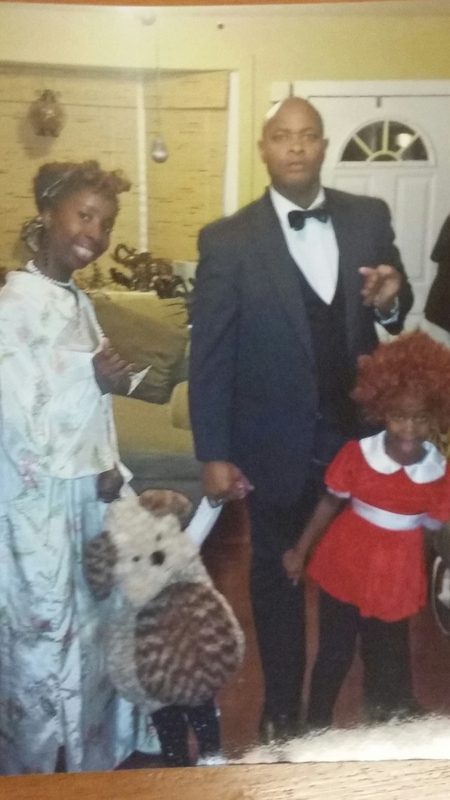 Costume Memory Lane | That's Greene With An "E"
If you know the GreenEs you know that we love to dress up for Halloween as a family unit. Since our first daughter was born we have picked a theme and all dressed up together and we are ready to go for 2014 too! Each year we find it more and more difficult to choose a costume given our older daughter’s “opinion” about what she should be. Just like every other little girl, she wants to be Elsa or Anna from Frozen but… oh well, on Halloween we have a bit of a dictatorship. Nope – we are not revealing our costumes in advance… you have to wait until October 31 to see what the Greenes will be but let’s take a walk down memory lane to see some of our prior costumes. It all started in Year One – October 2009. Wizard of Oz… please note Mr. GreenE commitment…. in sweat pants LOL… Sometimes you have to work with what you have! October 2010 – inspired by Aisha’s favorite musical we dressed as the cast of Grease. Yes, we know Hayden looks like Elvis but he’s actually Danny. Aisha is Sandy (pleather pants owww) and Lady C was a pink lady! October 2011 – The year we dressed up as Austin Powers, Dr. Evil and Mini-me. Pretty sure that Lady C will never forgive us for putting her in a bald cap but look – we MUST commit to the costume! 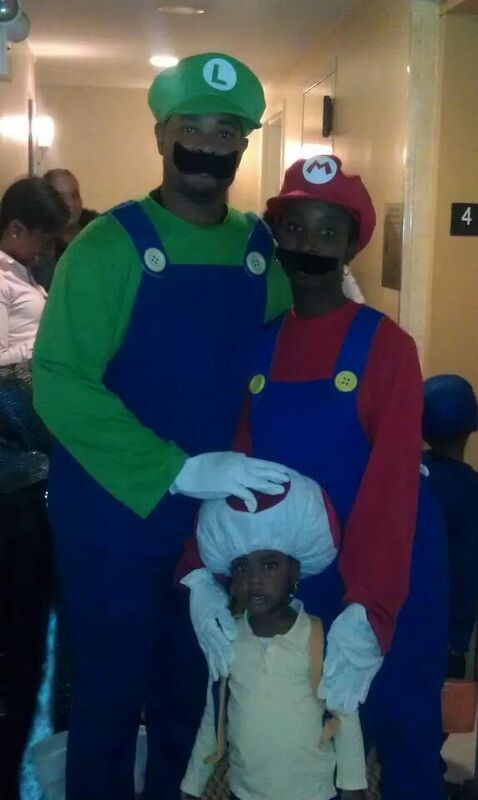 October 2012 – Mario, Luigi and a Mushroom. Aisha was pregnant with Lady H so a costume that worked around the growing belly was crucial. October 2013. 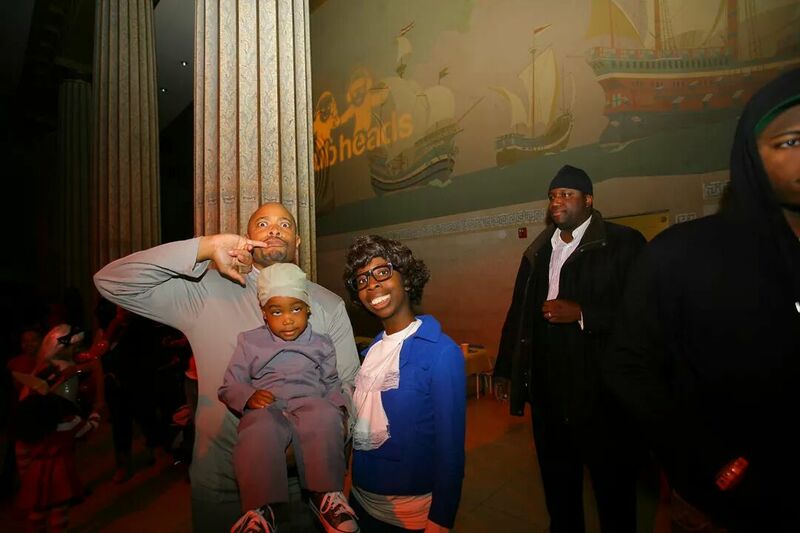 The first time Lady H had the pleasure of experiencing Halloween with the Greenes… she hates us too. 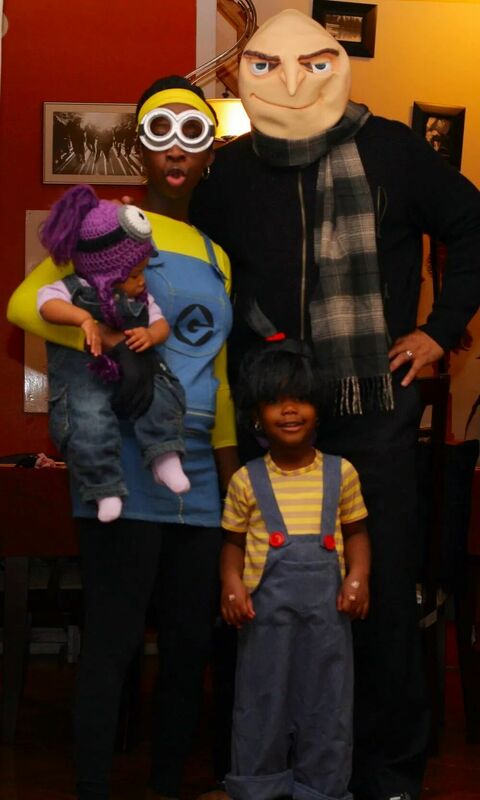 We present- Gru, Agnes, a good minion and an evil minion. 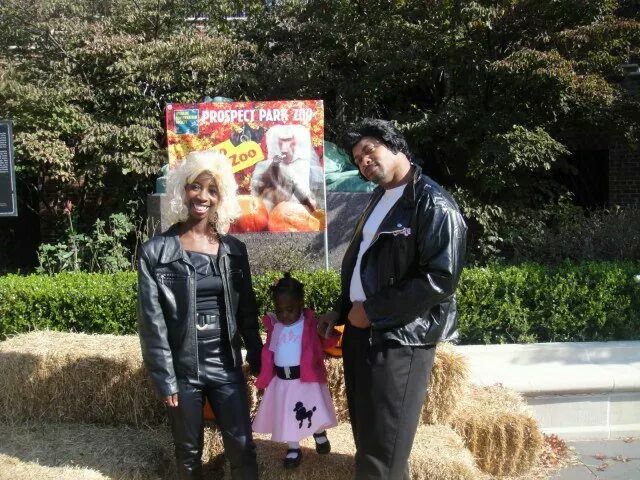 Do you and your family dress up for Halloween? 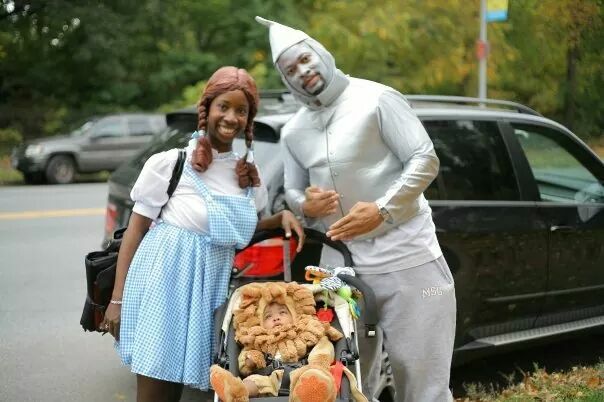 What are some of the cutest family costumes you have seen. 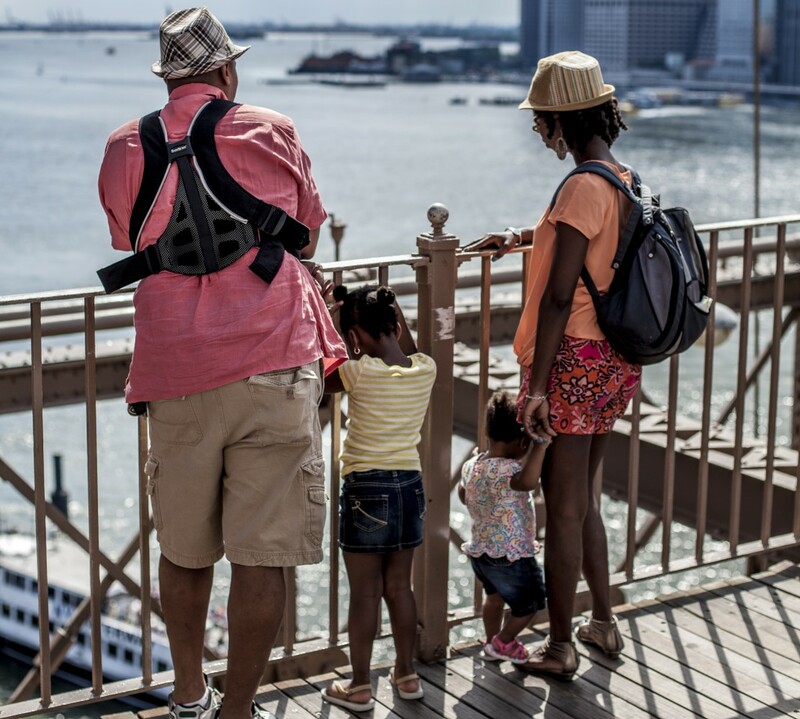 What do you think the Greenes will be this year?